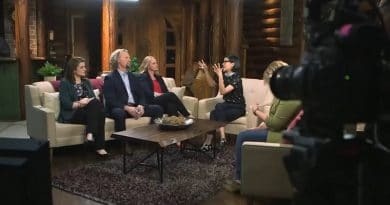 Sister Wives patriarch Kody Brown gave a hair demonstration on Sunday’s episode prompting fans to offer a reality check. A rare look into Kody Brown’s bathroom hair rituals sparked a flurry of comments. Some folks pointed out that Kody Brown might be harboring a false sense of reality about his ‘do. It appeared Kody wanted a little cyber sympathy for his hair issues. Although fans weren’t too obliging with empathy, they still had a lot to say about his mop-ish mane. Aside from critiquing his coiffure, they had plenty of advice for the Sister Wives papa. It looks like Kody Brown opened a can of worms when filming his hair styling routine for the Sister Wives episode. Viewers hopped online to tell him it’s time to cut his hair. He used a blow dryer with a diffuser so that his hair would dry curly instead of frizzy. Then he narrated the scene for the Sister Wives camera. Some folks felt he didn’t reach his goal of well-styled hair after seeing the end result. Then Kody tweeted that men who don’t have hair should “not berate the man” who does. That tweet opened the door for some tough comments from social followers. Don't know what you're talking about, your hair is very thin and a mess. Kody Brown – Modern Comb Over? After posting the tweet seen above, Kody Brown left himself wide open. He was reminded that he actually didn’t have “a lot of it” – as in hair – as he suggests. Fans pointed out to the Sister Wives hubby that his hair is long but that doesn’t mean there’s a lot there. Fans also mentioned the patriarch’s receding hairline. Long hair and a lot of hair are two different things, suggested one commenter. They also said that the man with four wives pretty much has an optical illusion going on. Social followers slapped back at him that his hear is much like a comb-over style. It’s still not a thick mop of hair, just long hair to disguise the sparse spots, they said. A few comments also alleged that Kody keeps his hair long so it looks like he’s got a full head of hair when he doesn’t. On Sunday’s Sister Wives show, Kody’s brother and his best friend showed up and they had to wait. They joined Kody for a trip to Flagstaff. These two guys thought they were only touring his new Arizona property. But Papa Brown also surprised them with the plans for the one humongous house he wants. As they waited for Kody Brown to get ready, they teased Christine. These guys know all about her husband and how he pays all this attention to his hair. They knew he’d be delayed while self-styling his mane. Christine also seemed used to the amount of time the man with four wives spends doing his hair. As the two guys waited for their blow-drying friend they joked around about what they call his “man mane”. After listening to this, Christine chuckled and said how she just calls it hair. Most of the comments from his Sister Wives self-styling demonstration were negative. But there were a few redeeming quips from people who actually love Kody’s hair. As far as his man bun days – it’s mostly thumbs down on that look. As for Kody Brown, despite the receding hairline and his head looking like a mop top, he just can’t bring himself to do away with his curls. For all the scoop on Sister Wives, come back to Soap Dirt daily. 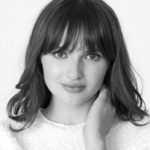 ← ‘Married at First Sight’: Kate Confronts Luke About Being Gay – Did He Join Show for Publicity? 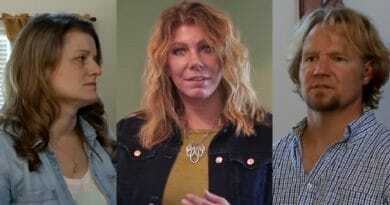 ‘Sister Wives’: Meri Brown ‘Brave But Bruised’ – Officially Lists ‘Unmarried’ Status?